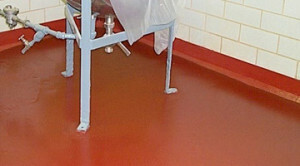 Not all industrial concrete floor coatings offer the protection you need against moisture vapor related damage. What may seem like a concrete floor moisture problem is often actually an issue of moisture vapor transmission (MVT) through the concrete slab. The FloroProof moisture vapor control system and other MVT coatings offer trusted solutions to this all-too-common problem. Our proven methods of testing concrete floor slabs, followed by appropriate material recommendation and professional installation, mitigates MVT in commercial and industrial concrete floors. The systems help ensure that your beautiful new Florock floors remain well-adhered and properly functioning, even in the presence of sub-surface moisture vapor conditions. With the right MVT-mitigating flooring and coatings, facilities can avoid the costly repairs and scheduled downtime associated with concrete slab moisture vapor transmission damage. Florock offers moisture vapor control flooring options in conjunction with the other benefits we’re known for, so you get everything you expect and more out of your commercial or industrial concrete floors. Regardless of your flooring needs and aesthetic preferences, we can meet them, while providing the MVT mitigation that makes them last. 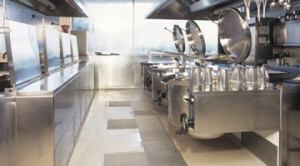 You can select from features like customizable slip resistance, custom designs, patterns, organizational logos and more — all as part of a moisture vapor control flooring system. Our local resinous flooring experts will carefully analyze and examine your concrete slab, making the process simple and transparent. Based on their objective test results, they’ll recommend the best FloroProof or other MVT-mitigating underlayment for your facility floor. As you and your coworkers enjoy the easy-maintenance, high performance floor of your dreams, you’ll never again have to think about MVT mitigation for your concrete flooring. That’s our goal and our promise to you.